It’s official: Tesla Motors (s TSLA) has completed the purchase of a long-sought home for its Model S electric sedan, and received the title to the former NUMMI factory in Fremont, Calif. According to a filing with financial regulators late Wednesday, Tesla bought the plant — previously the production site for Toyota’s joint venture with General Motors — for $42 million, which has now been paid in full. 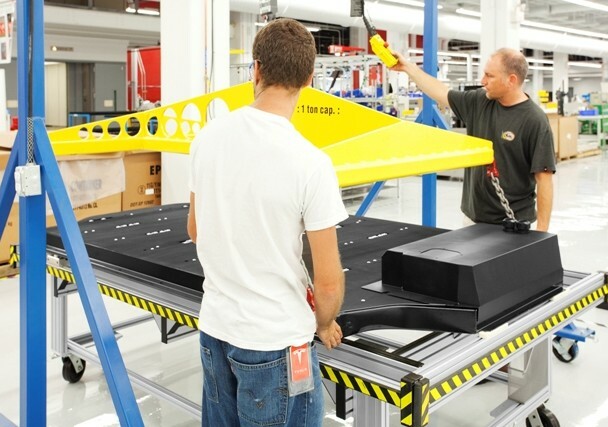 In addition, Tesla has also purchased manufacturing equipment and spare parts for approximately $17 million. That’s up from the $15 million Tesla agreed back in August to pay NUMMI (now jointly owned by Toyota and the government-held company that took on much of General Motors’ “bad assets”). According to Tesla’s filing, the companies amended the agreement to include more gear. Tesla notes in its filing today that it has also amended an agreement with NUMMI in recent weeks to include operating permits, which will add $7 million to the final tab. The companies expect Tesla to have those permits in hand “shortly,” according to the filing. These are symbolic milestones in Tesla’s takeover of the Fremont facility, which in practical terms began earlier this month, and are part of a long trek to compete as a mainstream automaker. Each step closer to Model S production is a significant one for Tesla, which aims to eventually make a long-discussed third-generation electric model at the Fremont plant (possibly within five years, CEO Elon Musk tells the Wall Street Journal (s nws)). Over the next year, the company will pump a good portion of its IPO proceeds into retooling the plant to start churning out the Model S by 2012: a deadline that’s critical for Tesla to hit if it’s going to generate significant revenue in the near future. With NUMMI at least, it’s off to a relatively smooth start.